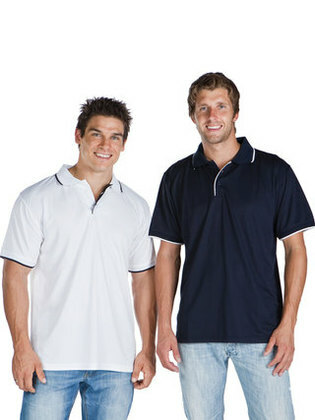 165gsm 100% polyester waffle Micro-DryTM Regular Fit Subtle contrast trim - Sleeve, collar and placket only. Matched weave cuffs. Waffle weave fabric - Embroiders or prints beautifully. Matches with our P-W16 Focus Lady Polo. Ideal for all uses, corporate, golf, retail, quality promotions etc. White/navy, royal/white, red/white, navy/white or black/white.